In 2011 Burgh Island Hotel was voted "the most romantic hotel in Britain" by readers of The Good Hotel Guide. Burgh Island sits 250 metres from the mainland at Bigbury-on-Sea in the South Hams, Devon. The island is small, housing only a few buildings. At low tide it is not truly an island; you can reach it on foot. Yet Burgh Island is a highly sought after destination and has been for a great many years. Famous faces from Agatha Christie to the Beatles have all made the short journey across a shallow stretch of shimmering sea to Burgh Island. The draw? A truly breathtaking luxury Art Deco hotel, once sadly neglected, but recently restored to its full glamorous heyday. For centuries the only people who spent a night on Burgh Island were fishermen and monks. The idea for a hotel on Burgh Island was the brainchild of a music hall star, George H Chirgwin. Chirgwin had found considerable success as the "White Eyed Kaffir" on stage and used his money to construct a wooden house on Burgh Island in 1895. He invited friends to his new house for weekend parties. In 1927 the entire island was sold to a film maker, Archibald Nettlefold, and he built the Art Deco style hotel. Perhaps due to Nettlefold's connections in the film industry, the hotel was a great success, drawing a rich and glamorous crowd. Nettlefold continued to enlarge the hotel and added a particularly eccentric room created from the captain's cabin of the former warship HMS Ganges. The hotel enjoyed success throughout the 1930s but its decline began during World War 2. Like many hotels it was converted to a military hospital, housing recovering RAF personnel. It also suffered a direct hit from a bomb which destroyed its upper two floors. Repairs were made, but instead of reopening as a hotel the building was converted to self-catering accommodation. 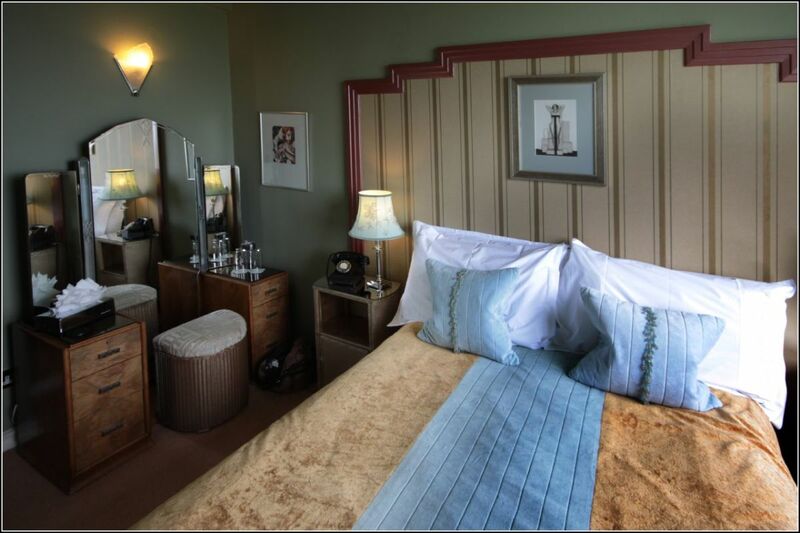 In 1986 the hotel was bought by Tony and Beatrice Porter, who faithfully restored it to its former Art Deco glory. The hotel was sold once more in 2002 and the current owners have continued to build on the fine Art Deco heritage. Guests can stay in one of the 15 suites, enjoy the splendid views and take a dip in the Mermaid Pool, dine in black tie splendour and finish the evening listening to a jazz band. I was inspired to write this Hub after reading Greekgeek's Hub Old Movie Review: Agatha Christie's Evil Under the Sun with Peter Ustinov. Why not see if it inspires you! Agatha Christie is just one of Burgh Island's famous guests, but is perhaps the one most identified with the Island. The settings for two of the novelists stories were inspired by the hotel; "And Then There Were None" and "Evil Under the Sun". A recent television adaptation of the latter novel, starring David Suchet as Hercule Poirot, was filmed on location at the refurbished hotel (see the film clip below). Christie stayed in the Beach House, a perfect, quiet spot for writing. Its seclusion also attracted another guest looking to get away from prying eyes; Edward VIII brought Mrs Simpson here. The Beach House is now part of the Hotel complex, having been rebuilt in 2007. The Hotel now holds regular Murder Mystery events, with an Agatha Christie theme, during which guests can dress in period costume and enjoy a weekend of glamorous sleuthing! Besides Agatha Christie, many famous people have stayed at the Hotel. Noel Coward famously booked in for three nights but stayed for three weeks. As mentioned above, that infamous couple, Edward VIII and Mrs Simpson, enjoyed a few illicit days on the Island. During the war, Churchill and Eisenhower are said to have met in the Hotel prior to the D-Day landings. George Formby, Josephine Baker, Amy Johnson and Lord Mountbatten all have rooms named after them. The Beatles did stay, after a concert in Plymouth, but haven't had a room named after them. Burgh Island has starred in a few films and TV programmes. In 1965 it provided the location for the final scene of a British film, "Catch Us If You Can", starring the Dave Clark Five. The popular BBC series "Lovejoy" shot an episode on the Island in 1994. Most recently, the Hotel starred alongside David Suchet in an adaptation of "Evil Under the Sun". Hi Matthew - definitely high on every girl's dream wedding venue! Bet you had a wonderful time. Thanks very much for taking the time to comment, I appreciate it. Great place and location, had the pleasure of attending a wedding at the hotel over a weekend. For a wedding venue it was fabulous. Hi Susan - I don't know if there are any other sea tractors, or if they have the only one. It is a very beautiful hotel. Definitely look out for any of the Poirot series with David Suchet, they're rather good. Hi Laura - I dream of lounging around in the Peacock Bar looking rather elegant, but can't see it happening any time soon. One day I would like to travel to places like this. Thanks for letting me dream a little! I love the glass dome ceiling at the peacock bar--gorgeous! I've never seen a sea tractor before but it looks like it would be fun to go for a ride on. What a gorgeous hotel! I want to see the rest of Evil of Under the Sun. Will have to keep my eyes peeled for it. 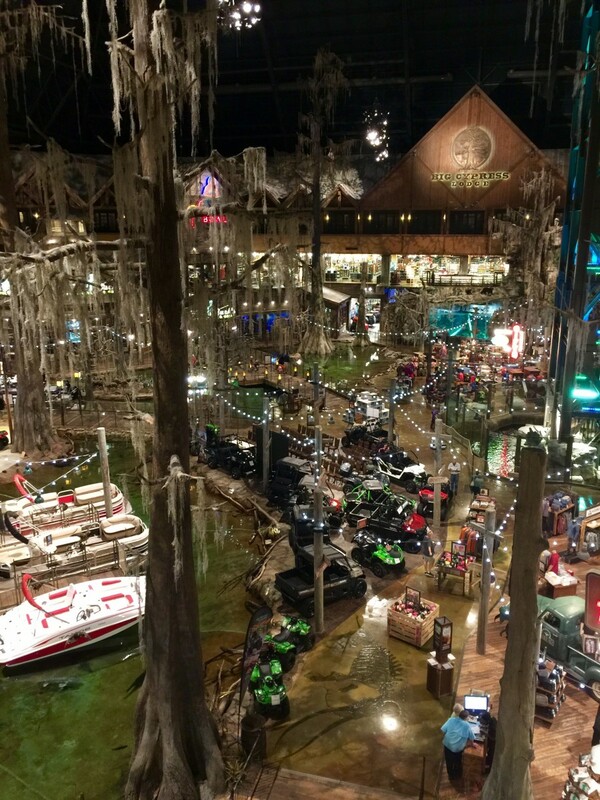 Hi wilderness - the sea tractor's fantastic! I'd love to know who thought it up. Hi GoodLady - it is completely theatrical, and so very 1930s - I love it. Definitely the place for a murder mystery play! It's got such an eccentric past and it's in such a challenging location; all very theatrical. Must tell my cousin about it, from Wales. She writes murder mystery plays which they put on at the hotel in Betws-y-Coed. Perhaps they'd change venue for a year! Looks like a great place to stay, and would love to visit one day. What caught my eye, though was that crazy sea tractor - what a way to travel! Hi Angie - I can't understand why I haven't been there myself! I've spent quite a few holidays in Devon and, like you, I'm not a million miles away these days. I really should remedy the situation. Hi Judi - despite living in Devon for a while I never got as far as Burgh Island, sadly, but now I've read this hub I am definitely going to go there next summer. It's not too far away - only about 50 miles. Hi Donna - I've never been to a murder mystery weekend, but I love the idea of dressing up "in character", particularly as the 1930s were so elegant. Glad to hear you enjoyed the hub. Oh, a murder mystery event at Christie's favorite hang-out sounds awesome! I've been to several murder mystery dinner events and they are always entertaining. Great hub, I really enjoyed learning more about this locale. Voted up and shared. Hi Movie Master - Hubbers' outing to Burgh Island perhaps? thank you for sharing this great hub and voted up. Hi Sannel - this is definitely the place for Agatha Christie fans! Sounds like one beautiful hotel Judi Bee, i would love to visit it one day. Thanks for the info, voted up! Hi Just History - this is an area of Devon I don't know well at all, but I really want a go on that sea tractor! It was great to hear about this lovely place and the beautiful hotel. Judi Bee, I learn so much from you! 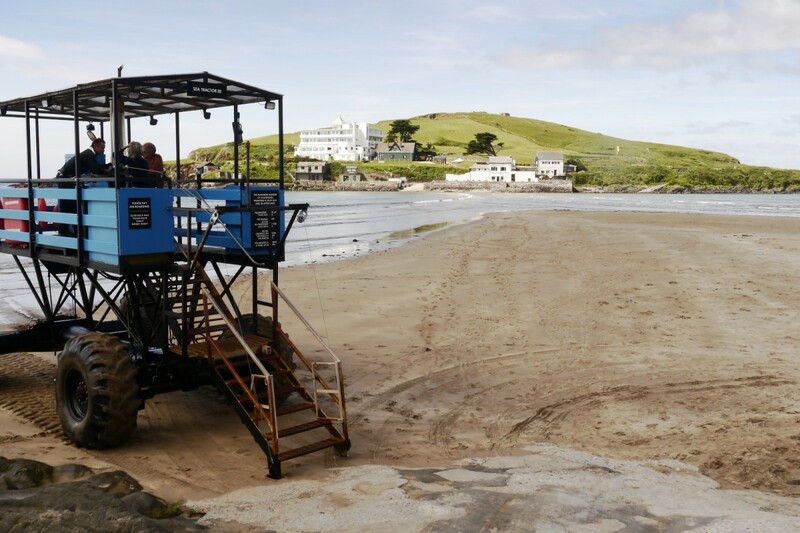 Judi- great to see this hub- I can remember many a family holiday walking over the sand or watching the tractor to Burgh Island- the hotel was in its decline period when I was a child but we had many happy holidays at Bigbury. Hi Kate - I'll gladly ride on the sea tractor with you, it's a new ambition of mine - it's got to be one of the most eccentric modes of transport I have ever seen! Oh my goodness, I saw Agatha Christie and just had to see this hub! I've read every book she wrote. That is so wonderful that someone brought the hotel back to its heyday. That goes on my bucket list, I want to ride in the sea tractor! Another great hub Judi Bee, thanks for sharing!